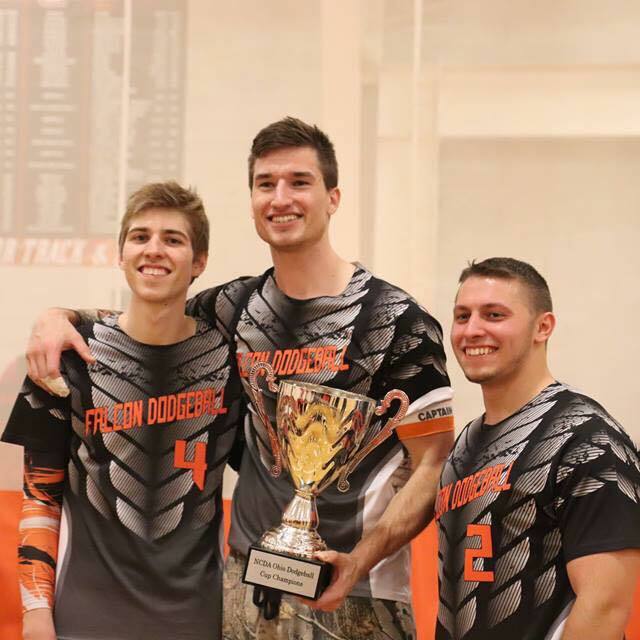 From Left: Reid Manger, Max Kowalski, and Owen Sill after winning the 2019 Ohio Dodgeball Cup. This year’s Ohio Dodgeball Cup was one for the history books. The NCDA’s largest region, consisting of ten teams, put on one of the more exciting shows in the league this season. Although only eight of the teams participated in this year’s showdown, there were still plenty of storylines to follow: Will Cincinnati make a mark in their inaugural tournament? Is Kent State still the face of Ohio, or is it Miami’s time to put a stranglehold on that title? What about Bowling Green, are they still relevant? All these questions were answered, and many more along the way! Not to mention, there was even a 5-way tie for first when the dust originally settled, leading to an OT style tournament to declare a champion. In the following paragraphs, I give a brief rundown on how each team’s afternoon played out, rest of season outlooks, and various takeaways from each captain about their squads. Oh, and special guest Eric Boehm, a Cleveland State alum, gives his take on how things went down, too. You may think some of our opinions are unsolicited, and they may be, but nobody else wanted to do a recap so this is what you get! 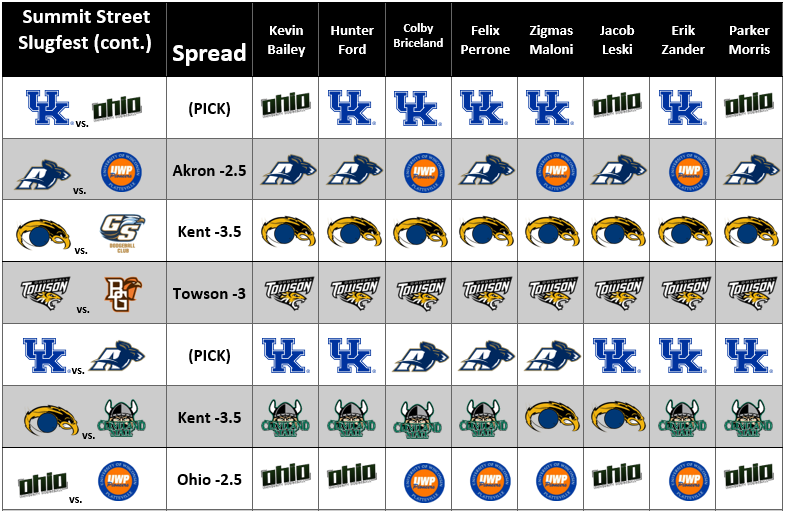 Buckle up for this rather lengthy review of the Ohio region! Wow, what a month for College Dodgeball, right? Cleveland State hosted their first tournament, Akron hosted the third annual WAR two-day tournament, both the Michigan and Ohio Dodgeball Cups were hosted. AND The BEAST and Zanderthon Throw-down both went off without a hitch. With over 20 of the active league members playing in tournaments in February it was a daunting task to pick the Baller of the Month for such a stacked month. That makes this player that much more impressive. Congratulations to your February 2019 Baller of the Month, Josh Lyons from the University of Akron. Josh has been a staple of the Akron Zips Dodgeball Club since their inception in 2014 and for good reason. Season by season he continues to improve in every aspect of the game, from catching to throwing and helping lead the team to a 15-7 season thus far. Josh has proven time and time again that he is the unsung hero of the Akron program, until now. 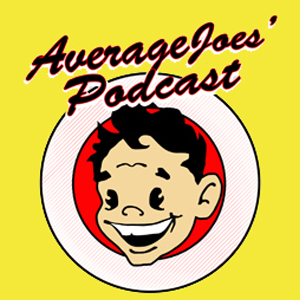 Below is the interview that I conducted with Josh. Josh Lyons is one of Akron’s top performers consistently. This is him pictured at The War III hosted by Akron. 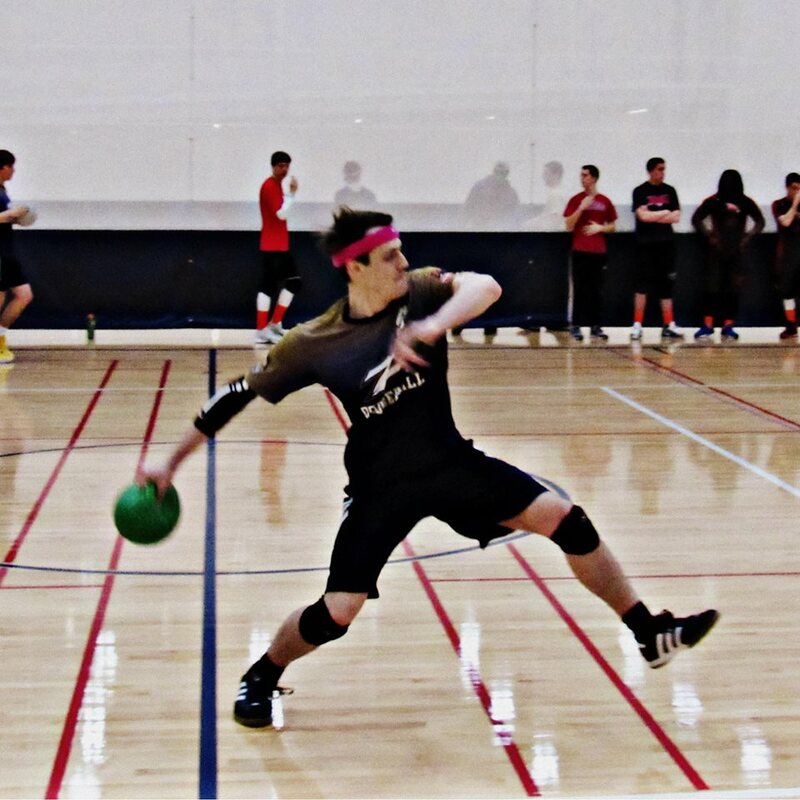 The annual Ohio Dodgeball Cup will take place this upcoming weekend at Bowling Green State University. This year there will be 8 teams in attendance looking to take home the cup. The ODC is structured in such a way that if only one team goes undefeated on the day they will win the Cup. In the case multiple teams end with the same record a tie breaker will be played after the conclusion of the scheduled matches to determine which team is the best in the Ohio region. Click here to see the score sheet and schedule for the Ohio Dodgeball Cup! The following was co-authored by Kevin Bailey, Hunter Ford and Colby Briceland. 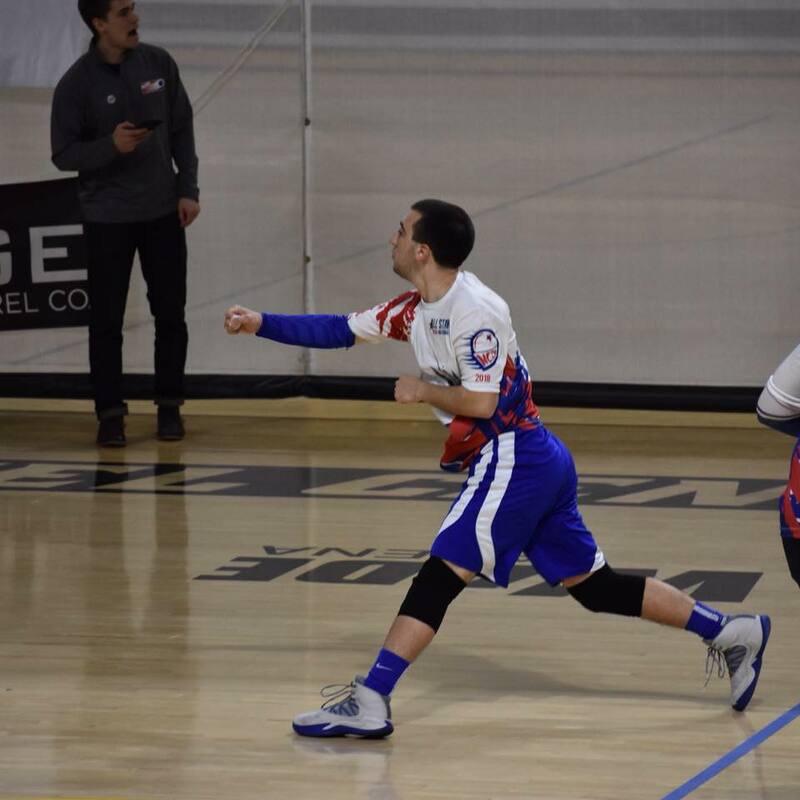 Over the weekend, University of Akron hosted the biggest regular season tournament of the National Collegiate Dodgeball Association season. 15 teams made their way to Akron for the annual two-day tournament called ‘WAR’. As it turns out, the name fits the bill. In attendance at this event were teams from five different regions. Including 14 of the top 18 teams in the latest Power Rankings. Needless to say, there were some epic matches over the weekend. In fact, an argument could be made it was the most entertaining regular season tourney in NCDA history. If you disagree, feel free to state your case. This past weekend had West Virginia, Saginaw Valley State, Kent State and Akron traveling to Cleveland State to take part in the Magnus’ Rock Fest. Cleveland State hosted their first tournament and it was a great success, bringing in five teams from three different states. Thank you to Casey Brown for giving us his thoughts on this tournament. Penn State looks to open up the second half of the season with their first home tournament of the year. Rally in the Valley will See Penn State, James Madison University, West Virginia University and the University of Akron in their first matches of the second semester. lets take a look. Here we are folks, the second semester of college dodgeball is under way. 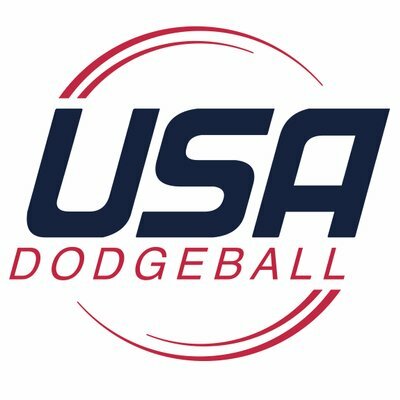 The largest dodgeball state in the NCDA is Ohio, who boasts 9 active teams with one more on the way who has yet to play their induction match. Today we share a glimpse into what the Ohio Region has in store for the second half of the 2018-2019 season. College can be a scary experience for any incoming freshman. Nerves and apprehension are all part of the journey in education. It’s my second semester at Ball State and I look back at the challenges that I faced in the first couple of weeks. Ball State hosted a club/organization recruitment fair that helped groups recruit new members. I went to the fair and found the Dodgeball Club, a group of guys that were just hanging out, hoping for someone to stop by their booth. The following was written by Eric Boehm, formerly of Cleveland State University. Akron’s Pinkout IV was quite an event to witness! It was very evident that there’s a dominance shakeup within the state of Ohio. The teams of Ohio were battling one another for the top dog position in the state. It’s that time of the year again folks, where we travel to Northeast Ohio to the University of Akron for their fourth annual Pinkout Tournament. There will be 12 teams in attendance on Saturday and I have decided to do something different with my preview this time. This time I asked one captain from each attending team to write about their own team and match-ups. 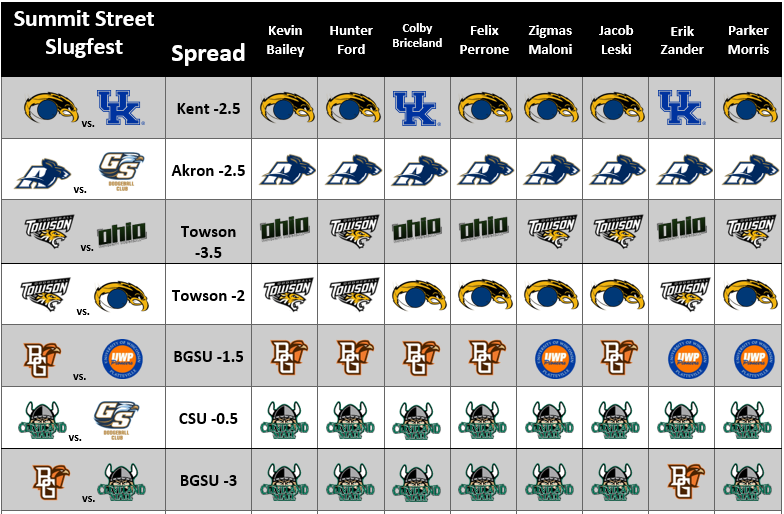 This gave me the opportunity to really see what each team was thinking and how they believe they will fare this weekend in Akron, Ohio. This Saturday, Miami University will host the Redhawk Invite. In attendance will be 4th ranked BGSU, 7th ranked Kent, 10th ranked Miami, 12th ranked OU, 13th ranked Arkon, and 36th ranked BSU. This tournament will be an early look into which team will be the top ranked team in Ohio. Among the previously mentioned teams BGSU, Akron, and OU will be playing in their first tournaments. While Kent, Miami, and BSU already have one underneath them. What will be the goal of this tournament for every team? Does each respective captain value getting their rookies experience or going undefeated or can they do both?